Braun is the leader in premium electric shavers, and has launched its best shaver ever, the Braun Series 9, the world’s most efficient and comfortable shaver. However, when people research and shop online, the advertising, all the technical speak, and information overload can quickly confuse shoppers, rather than convince! Like with consumer electronics, if people do not understand why they should pay for better products, many decide on price. Can you help Braun make its Series 9 Amazon advertising as amazing as the Series 9 itself, so people are convinced it is the right shaver to buy? 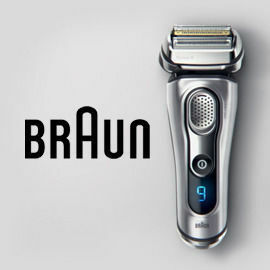 Create online shopping materials to make the Braun Series 9 more desirable for online shoppers who are looking for the ultimate shaving experience.